Byron bay Hinterland, NSW. Australia . NSW Daylight Saving Time. Its Cooler in the Rain forest! 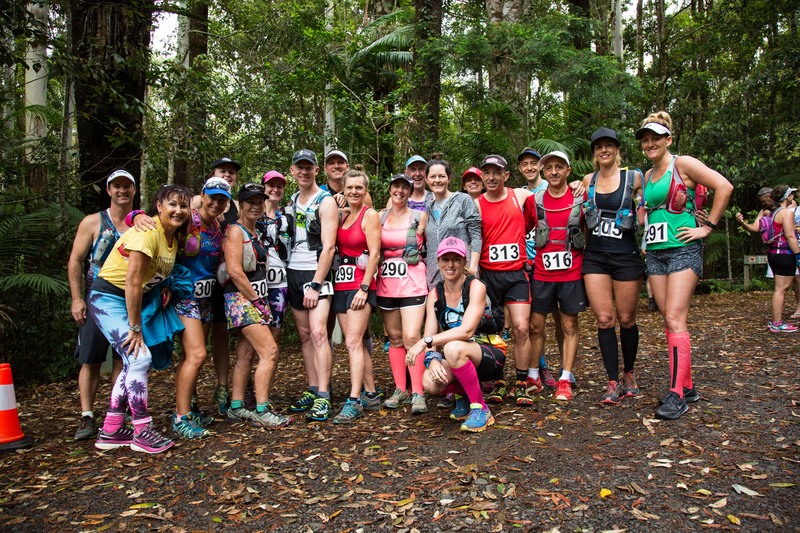 Welcome to the 7th annual Freedom Trail Run (2018) in the Nightcap national park, Byron bay. This is a fun and challenging event open to all ages 12 years+. 50k/35k/25k/13k/5k distance events this year. This is a running event but we welcome anyone who wishes to Walk or Speed/Walk the events. The walkers will start in a wave behind the runners wave. . The World Heritage Nightcap national park is beautiful warm temperate and subtropical rain forest with amazing views from the top of nearby water falls (Minyon Falls) high up in the Byron bay hinterland. This event is in addition to the Freedom Mountain Bike Marathon that we have been running here for 10 years. You are invited to come out and enjoy a great day of running the trails. Bring your own wood and drinking water. National parks have blocked the Rummery Park campground to the general public, It is only for our Freedom Events participant use on Friday the 9th and Saturday 10th. Campground booking . You must prepay and book in advance when you enter online. Limited camp sites available/ Max 45 people. We will be checking all registrations and campers, if you are not on the prereg camp list the cost will be $25 per person per night. Please note: Limited parking at Rummery Park, riders may be asked to move their vehicles just down the rd to Minyon falls car park. The 50k/35k/25k/13k trail run courses starts with the amazing Peates Mountain walkway track, then turns onto a fire road (the 13k descends, then loops down an undulating single track loop and back on the fire road 2.5k descent to the finish). The 50k/35k/25k climbs on the fire road to the top of the National park on the Gibbergunyah trail. The 25k stays up and then an undulating fire rd then makes its way down and back to the finish via the 13k loop track. The 50k/35k does the 10k downhill to the rocky creek dam, followed by a road section back into the National park. The 50k then does the Rummery rd descent and climb (4k) to nearly the top of the the National park then an undulating fire rd then makes its way down and back to the finish via the 13k loop track. The 35k turns off onto telephone road to Quondong falls and back to the finish. The 5k course loop (is very close to the finish line) and uses the last piece of fun rainforest single track that the 50k/35k runners start on. Its an approx (in both distance and elevation) because the satellites can not see through the Rain forest so well. Trail conditions: Dirt roads, fire trails, and double/single tracks. Clay hard pack, awesome tree cover. This course is awesome and will put a smile on your face! Great always even if we have rain this course can handle it and is totally fun! NUMBER BIB PICKUP and TRANSPONDER BAND Opens at 6AM/closes at 9.15AM in Rummery Park. Run course briefing 5 minutes before each event start. YOU MUST be on the line for the briefing. Open to runners 12yrs and above. Please note: 12 – 16yrs may only enter the Freedom Trail Run 13k event. Parents must sign entry form/release. 150 litres at the Start/finish. We will not be supplying cups. All 50k/35k/25k runners MUST carry their own bottles Minimum size 600ml to refill at the Water/fuel stops. NO WATER BOTTLE NO START. See current weather radar click pic link below. Coming to the Freedom Trail Run? There is limited parking space in the forest. Be ecologically and economically wise and share your car/transport with another runner. If your camping please arrive saturday before 10pm. 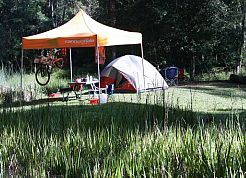 (The earlier you arrive the better camp spot you will get). If your arriving race day get to registration/number pick up before it closes at 9.15am. All runners and supporters who come to camp friday night will have first preference to parking in Rummery park. All runners who arrive the morning of the event must park on the RIGHT HAND SIDE of the Minyon falls/Nightcap range rd if there is no parking in Rummery park campground area. We have Parking marshals to direct you. This is a National Forest park with precious wild life/flora and fauna. The organiser’s of the Freedom Trail Run will not allow littering by runners or spectators. Please carry all your food/gel wrappers with you and deposit at water station bins. If you see somebody litter please take their number. We will disqualify them No questions asked. No pets allowed. 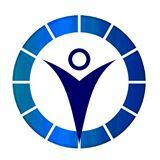 Please Note: We have First Aid people in attendance but All runners are responsible for their own Insurance and medical expenses. Glass Trophies for Top 3 Men and Women in each event. Musashi Smoothie Recovery Drink/race numbers: All entered runner receive a Musashi Protein/Carb Banana Smoothie Recovery Drink as part of your entry. It will be served after you finish, followed by the prize giving at 1.30pm. Your RACE NUMBER is your lunch ticket to be returned (BECAUSE WE RE-USE THEM). All Entry Fees include: National park per person fees (which have just gone up again in 2018, hence the entry fee increase) and the Active Network processing Fees plus Transponder timing. Late Entries on the day incur a $15 late fee. Tell your friends, get your mates together for a great weekend and start training!